Another belated baby gift done! I am a mad woman on a mission to finish a few things summer and the weeks are flying by! I am really enjoying being in my sewing room again. 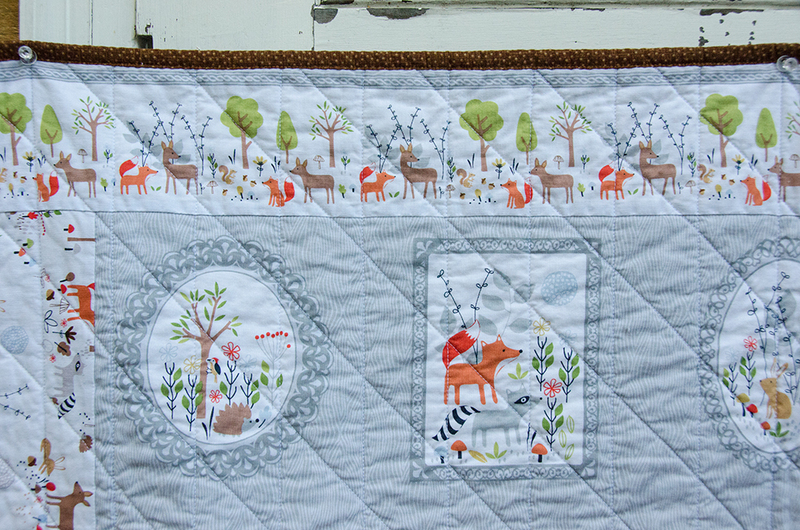 The fox and woodland quilt is for my nephew’s baby boy. The fox is part of Edward’s Menagerie that I have been obsessing over for the last few months. 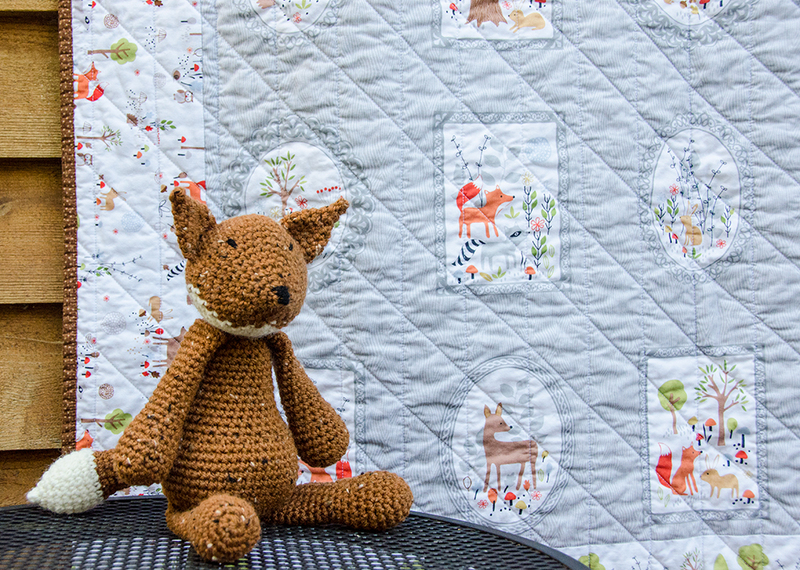 Since the quilt fabric panel had a fox in it I had to make him to go along with the quilt. The center of the quilt is a panel and then I put the selvage print on the top and bottom and another coordinating print on the sides. The background is a really soft gray so the backing had to be a soft gray flannel. 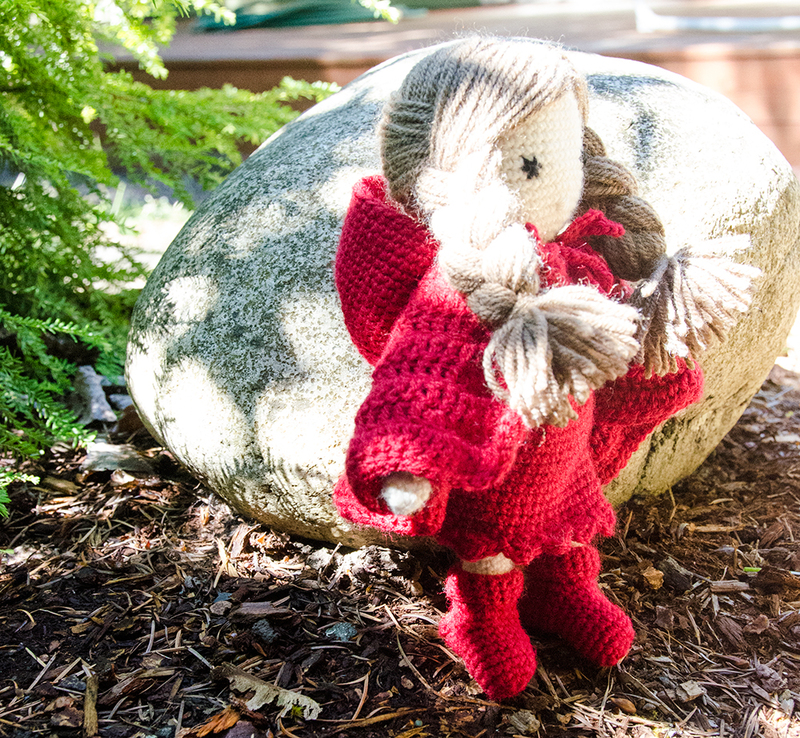 The fabric is Gentle Forest by Studio E.
Of course, the big sister needed a doll as well. 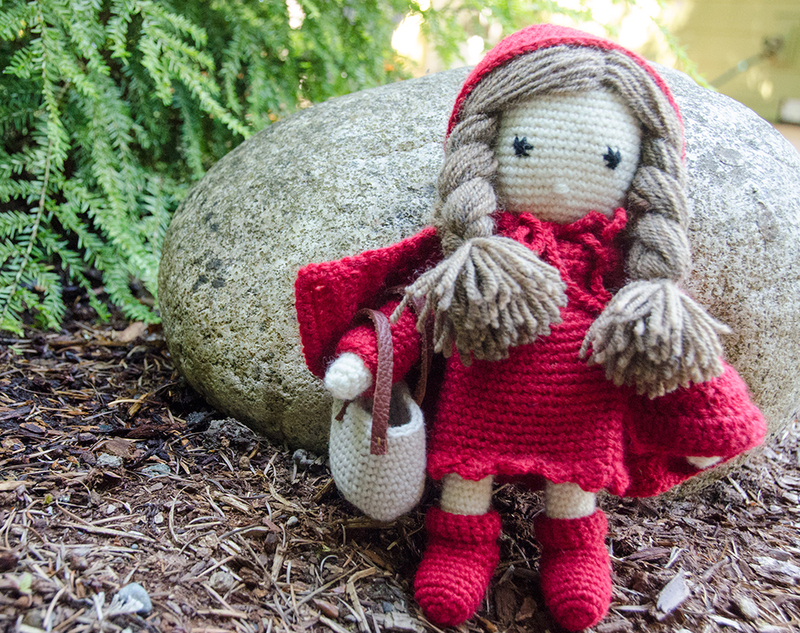 Little Red is from the book My Crochet Doll. There are a ton of other outfits you can make for your doll and I’m dying to make them all. You can see some of the outfits in this Google search. There is also a video on how to make the doll. I started her a couple of years ago but got hung up on the assembly. She is a bit fiddly. The author/creator puts wire in the arms and legs to make them bendable and I just couldn’t get my head around that. Finally, I committed myself to finishing her and left the wire out. She is fine without the wire! Adding the hair takes some practice. I am not very good at it but it works. Now I’d best get to work on some of the additional outfits! This is such an adorable cute. 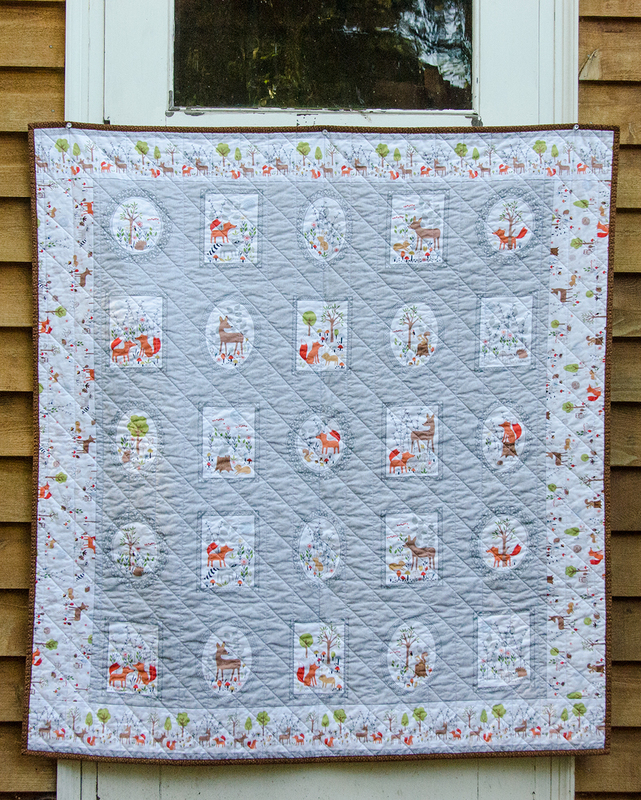 Baby quilts should be simple. Love the panel print. The dolls are a great accompaniment to the quilt. Anita, this is all so adorable! I love the quilt, sometimes it’s really fun to start with a panel you can finish in a hurry. I did one with Winnie the Pooh and added a pieced border for my grandson after he outgrew his newborn quilt. Love love love your fox and Little Red, too 🙂 Beautiful gift! Oh my goodness Anita! These are darling!!! You are currently reading Mr. Fox and Little Red at Bloomin' Workshop.